The building is split into several galleries including some in a large modern extension at the rear. The Davidson Gallery (pictured above) is the beautiful room which occupies the whole frontage of the building on the 1st floor and inside you’ll find fine and decorative arts. 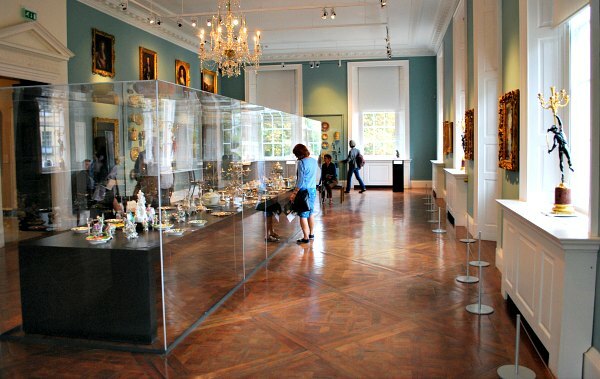 Across the hall and into the extension, you’ll find the Posnett Gallery where some of Holburne’s ‘treasures’ are housed. We liked this gallery the best as the artefacts are just interesting items that Holburne liked. Look out for the folding fork and spoon set! Upstairs on the mezzanine level is the Fletcher Gallery with more everyday items from stylish life in the 18th century. 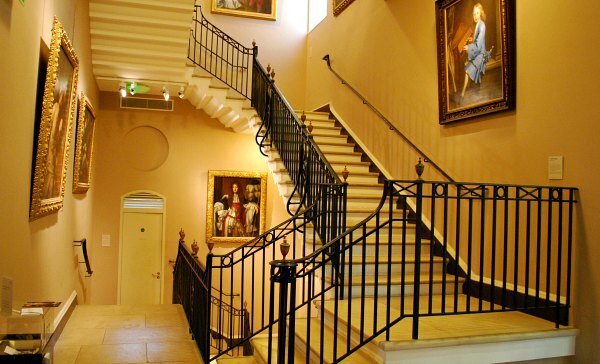 On the top floor of the museum is the Brownsword Gallery, crammed with British paintings and some further rooms which are used for temporary exhibitions. For us, the building was as much of a star as the exhibits. It was built at the same time as nearby Pulteney Bridge as a centrepiece of the new layout of this area of Bath which was known as New Town. Apart from being a hotel, it also acted as a gateway to Sydney Pleasure Gardens which at the time were full of amusements like a huge labyrinth, swings and a mock castle. Jane Austen, who lived across the road for a time at No 4 Sydney Place, was known to frequent the gardens. 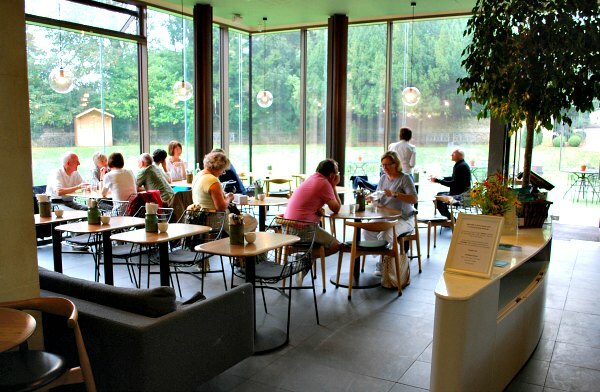 Another room not to miss in the museum is the cafe which has ‘garden’ feel. It sits at the rear of the building overlooking the garden with floor to ceiling windows. It is, without doubt, one of the nicest cafe’s in Bath. 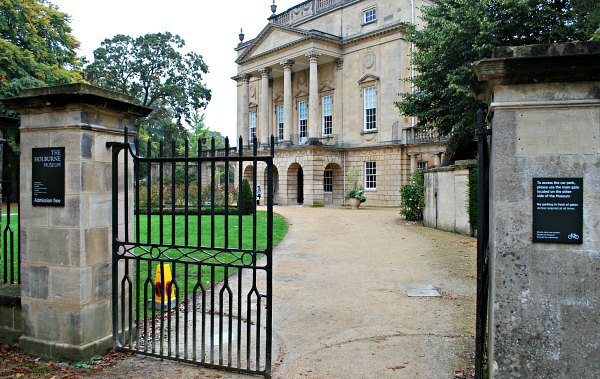 The Holburne Museum is free and is open Monday to Saturday from 10am to 5pm and on Sundays and Bank Holidays from 11am to 5pm. The Museum is supported by charities and voluntary donations, so you’ll find donation boxes around the hallway if you wish to give, but there is no pressure to do so. The best way to get the the Holburne Musem is on foot by walking over the historic Pulteney Bridge and following the road to the end. Along the way, you’ll enjoy the fine houses of Great Pulteney Street which were all part of the new vision for this part of Bath. The Bath Hop-on, Hop-Off Bus Tour Stops nearby too.